I tried to do this one chronologically, and amazingly enough, I could get it to work with the lyrics. Some parts sound a bit funky, others are dead on in a way. All in all, I had fun with this one! 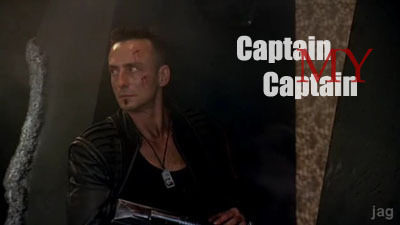 This is my personal tribute to the best Peacekeeper Captain Farscape ever had! Thanks, David! Download 27.32MB file here (320 hits). Posted: December 12th, 2005 under Farscape.